Sonia Kashuk talks beauty favorites, her signature hairstyle and the collaboration with Linda Mason for her Art of Makeup collection. You have to be fearless and enduringly passionate to succeed in anything. 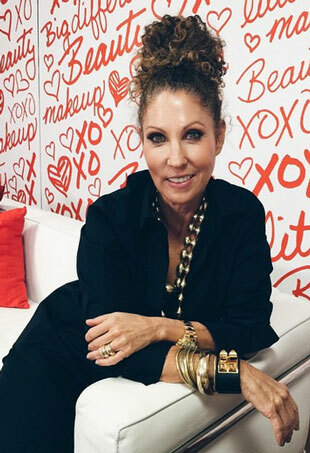 The famed makeup entrepreneur answers our quickfire questions. Sonia Kashuk shares the secrets to her success. Makeup artist Sonia Kashuk and dermatologist Dr. Elizabeth Tanzi share tips on transitioning your beauty look for warmer weather. The celebrity makeup artist shares her tips to a room full of beauty editors. With a namesake cosmetic line and long list of celebrity clients and friends, Sonia took time out to tell us about her industry break, must-have products and more.